In the community of Share, South Africa, Ruth has been visiting Mike, Tholiwe and Risuna since 2010 when their mother became very sick. Ruth is a Care Worker at Nhluvuko Community Based Organization (CBO) and has been caring for these extremely vulnerable children for over 2 years now. In 2011, their mother passed away. Mike, 15, Tholiwe, 10, and Risuna, 4, did not know their father. Without Ruth, they would have been left with only their grandmother, who does not live with them and does not care for them. But there is hope. Although they live alone now, the home visits provided by Ruth have given these children a mother who knows each of their names and their situations. Ruth ensures all three children are going to school each day. As the head of his household, she has taught Mike to care for and clean the home. 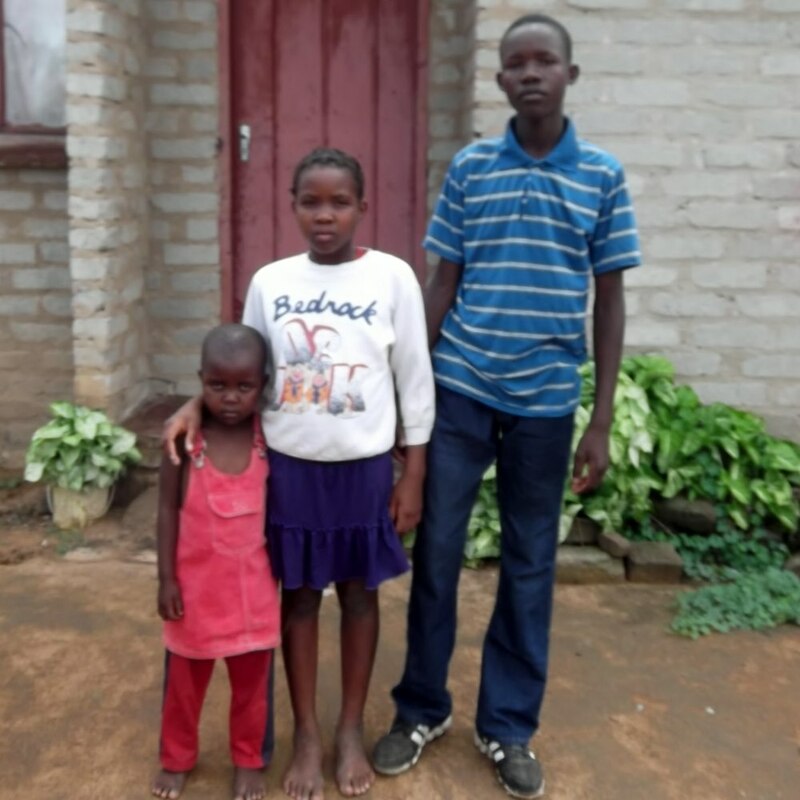 Through the 3 Essential Services program, Ruth and Nhluvuko CBO have provided this family with a hot meal afterschool each day, school uniforms, a door and window frame for their home, and a mattress. Ruth has built a very strong relationship with these children and they love and trust her as their mother.